The Akashic Records, or �The Book of Life,� is a dimension of consciousness that contains a vibrational record of every soul and its journey. For the spiritual seeker or the average Joe, most of us would like to know the meaning of our lives. And we�d all love to have a handbook to guide us through the pitfalls and challenges, and learn to embrace our place in it all. 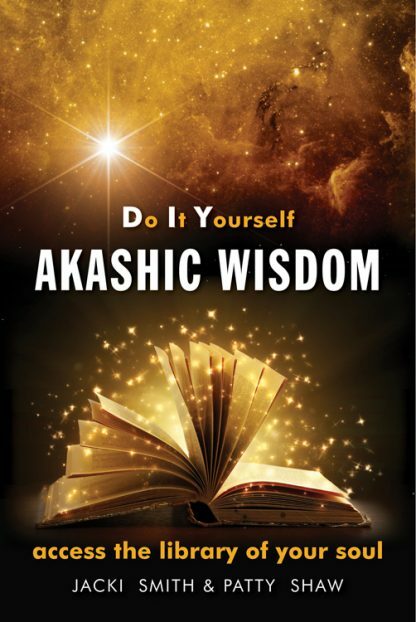 The Akashic Records offer just that�a guide to understanding your life and its lessons. In fact, they are a complete library of guidebooks, which help you understand yourself and your place in the divine universe. Akashic Anarchist Sisters Patty Shaw and Jacki Smith not only teach you how to access your records, they teach you how to break into the library and bring home the books! Through the use of journaling, mediations, personal rituals, and visualizations, you�ll learn how to read your records, understand their meaning, and use that knowledge to change your life. With humor and spiritual wisdom that comes from a lifetime of hacking into their own records, Shaw and Smith offers readers a unique and practical guide to learn the true wisdom of the Akashic Records. Patty Shaw and Jacki Smith are sisters and co-owners of Coventry Creations, the premier magical candle makers in the United States. Jacki is the author of Coventry Magic and Patti is the director of the School of Akashic Healing. Visit them online at coventrycreations.com and healingwithpattyshaw.com.